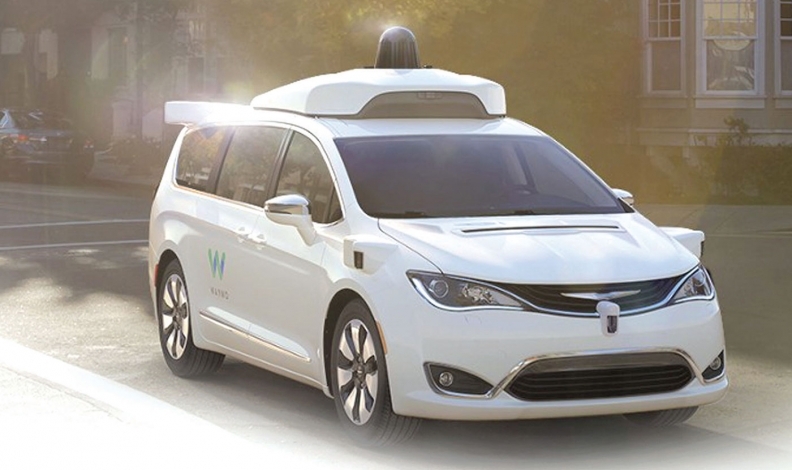 Pacifica minivans outfitted with self-driving technology from Waymo have been added to Fiat Chrysler's test fleet. A key piece of Fiat Chrysler's fuel economy regulatory strategy in the United States, and a place to showcase the automaker's leading-edge technology, is surprisingly large and built in Canada. Since it was first introduced at the 2016 Detroit auto show, the Chrysler Pacifica minivan has proven itself a capable and adaptable platform for FCA to experiment with advanced electrification and autonomous driving. On Dec. 19, FCA said it had completed production of 100 Pacificas specially outfitted with self-driving technology for Waymo, formerly known as the Google car project, to be added to that company's test fleet. Bloomberg, citing anonymous sources, reported that Waymo plans to start a ride-sharing service with the Pacifica in late 2017. Meanwhile, in November, the hybridized version of the Pacifica earned an 84 mpg-equivalent rating from the U.S. EPA -- better than the automaker's initial estimates of 80 mpg-e. That's a highway fuel economy as efficient as 8.4 L/100 km. And in early January, FCA will show a full-electric Pacifica concept vehicle at CES in Las Vegas, the huge trade event formerly known as the Consumer Electronics Show. All of the announcements have helped FCA to leap back into the automotive pack in terms of an electrification strategy after lagging far behind. FCA has consistently been at the bottom of annual corporate average fuel economy ratings for several years. 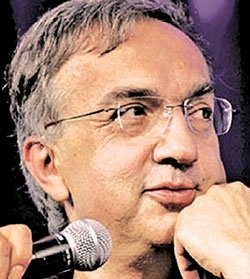 Marchionne: Tone seems to soften. Previously, CEO Sergio Marchionne was dismissive of electrification, in part because of its high costs. For example, in 2014, he urged consumers not to buy FCA's only fully electric vehicle, the Fiat 500e, "because every time I sell one it costs me $14,000." But his tone seems to have softened with the development of the hybridized Pacifica, which the company will not lose money on, Marchionne said in January. The hybrid Pacifica, built in Windsor, Ontario, uses a 16-kWh battery pack made by supplier LG Chem that is stored below the second-row seats. It also uses a modified 3.6-litre V-6 engine and a dual-motor variable electric transmission, developed in-house, and known as the eFlite. The battery and the minivan's innovative drivetrain give it an all-electric range of 53 km (33 miles) and a full range of 910 km (566 miles). Speaking with analysts in late October, Marchionne said that FCA had dedicated the internal resources necessary to bring electric powertrains to market. However, like other manufacturers, FCA will continue to rely heavily on suppliers to meet fuel economy goals. "The bad thing and a great thing about electrification is that most of it will rely on components being provided by suppliers to the industry and not by us," Marchionne said. FCA can handle developing a lot of the technology associated with an electrical powertrain, Marchionne said. But the rest will have to come from others. "The single largest drawback to electrification to us as OEMs is that we're no longer in control of the components side; all batteries will be made by others," Marchionne said. "It's really a question of capacity and access to that capacity."